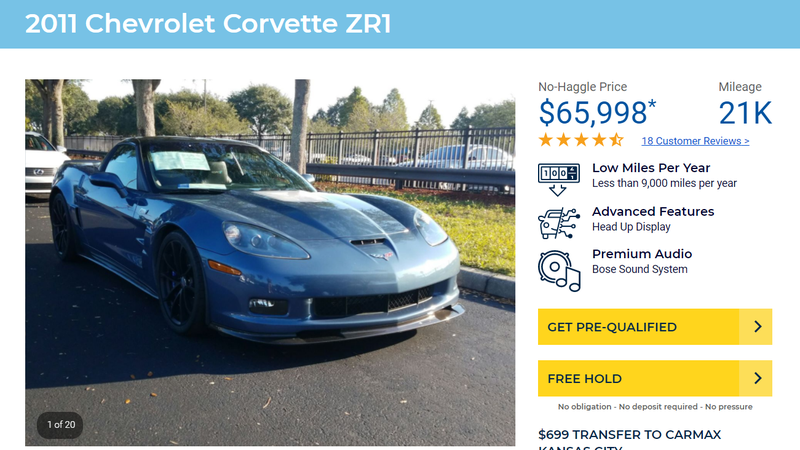 Corvettes seem a dime-a-dozen these days. The C7 Z06 was released last year, the new ZR1 was recently announced, and a mid-engine car is in the works. It’s for these reasons that now seems as good as any to invest in an old ZR1. The ZR1 is much faster than the C7 Z06 in a straight line. I’m all for track performance but at the same time think it’s really cool to have a car that can reach 200mph. The ZR1 is also much, much rarer. More Z06's were made last year than Zr1's were produced over the course of the C6's lifetime. Stick a couple of plastic bits onto a Stingray and all of a sudden you can’t tell the difference between it and a Z. The C6 at least has a cool engine cover. The C6 is a beautiful car, even today. Just look at it. Seems reason enough to me. Now I just need to save up.